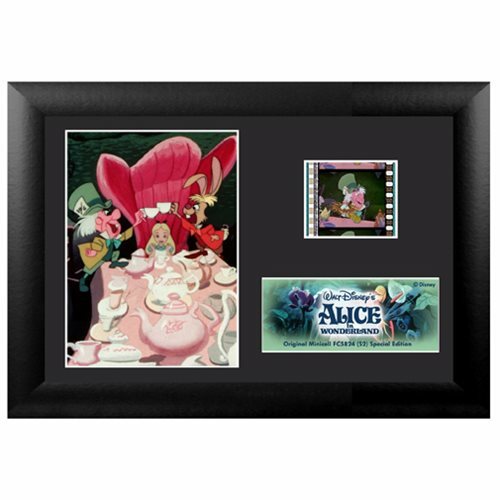 Have a very merry unbirthday and celebrate with the Alice in Wonderland Animated Series 2 Mini Film Cell! Featuring a striking print and an actual strip of film from Walt Disney's animated classic Alice in Wonderland. This sought-after collectible comes with a certificate of authenticity and measures approximately 5 1/2-inches tall x 7 1/2-inches wide. It will look truly wonder-ful at your place!